Occasionally, there are colors in our wardrobes that work better as supporting players. For example, most people won't embrace a bright yellow pair of pants, yet they will love a pair of yellow heels. Likewise, a mint t-shirt can make one look like an off-duty surgeon, but a mint handbag is a fresh addition to any spring outfit. Call it mint or aqua, this blue-green shade is best in small doses. It has a tendency to look like hospital scrubs if you go overboard. 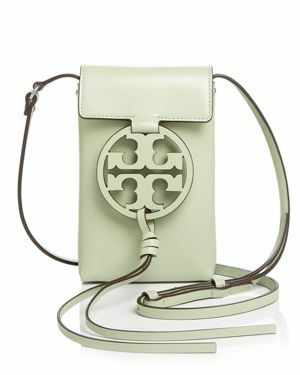 A little aqua bag is the perfect way to add a spring pastel to your wardrobe. 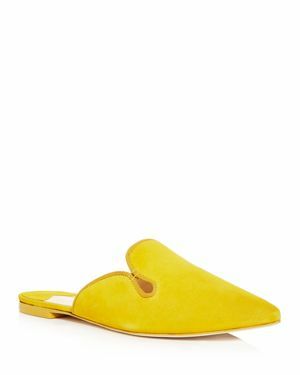 Last summer, I purchased a pair of yellow suede sandals. I wore them until they literally fell apart. I promise you'll be pleasantly surprised by the mileage you can get out of yellow shoes. They play well with blues, pinks, black, and white. As a bonus, the color yellow is a mood booster. Try a pair of yellow flats. Right away, you'll notice how they spice up the most basic outfits, like a white tee and jeans or a simple black sheath dress. I find pink can look good on nearly everyone. It's all about finding the right shade. Personally, I prefer a rich, hot pink against my fair skin. This may be why I have multiple hot pink sweaters and dresses in my closet. Almost anyone looks great in a blush pink too. However, the color pink can be intimidating. 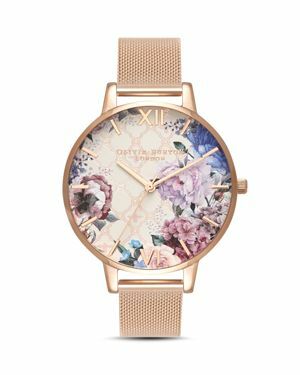 If you're not a pink lover, start small with a pink accessory, like the watch above. Neon can be hard to wear, especially if you're a gal who loves neutrals. 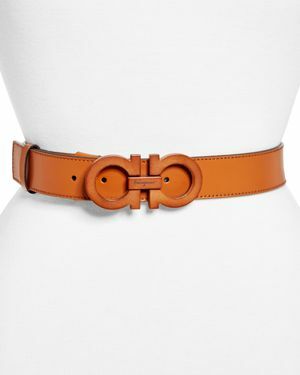 A little orange belt can liven up the white-button down and jeans look, or provide a point of interest on a navy jumpsuit. Like yellow, orange lends the gift of personality to an otherwise basic look. When the weather dips below 60 here in sunny San Diego, we are all reaching for the boots and puffer coats. Of course, many of my clients are also traveling to cooler places in the winter and have a need for true winter outerwear. It can be daunting trying to find the perfect piece though. As always, I'm here to take the stress out of getting dressed. If you're anything like me, you might ooh and ah over a fabulous winter white ankle-length cashmere blend coat. If you live like me though, you know that coat wouldn't survive the trip to the car, let alone actual winter weather. Be practical and think about what you're doing, where you're going, etc. It's a similar mindset to packing for a trip. Where are you going in that? What are you doing? Are you hiking? Walking to work? Touring NYC? Attending a conference? The answers will differ for each individual. Once you consider your lifestyle, you may find you need three coats: one for travel, one for work, and one for active wear. The coat you wear to the office isn't the one you'll reach for to go hiking. Even for my fellow San Diegans, I recommend having three outerwear options. If you live in a place with more inclement weather, you may want five. Again, this depends on your lifestyle. If you work from home and don't leave the house much in the winter, two coats would suffice. I've written before about black not being as versatile as we've been led to believe. It doesn't always pair well with navy, brown, other blacks. Even when paired with white, black can be unflattering against white due to the high contrast. Generally, black near the face has a tendency to wash people out. If you absolutely must have a black coat, add a pop of color through a scarf or turtleneck to brighten up. Instead of black, try winter neutrals for a more interesting look. In particular, I adore an emerald green, cobalt blue, or burgundy coat. These colors are flattering on most skin tones and look sophisticated rather than childish. They are also quite versatile and pair with well with both navy and black based looks. If you tend to gravitate towards neutrals in all clothing, try a light grey or camel. If you adore your old coats but you're feeling a little bored, try adding new hats, gloves, and scarves to your winter wardrobe. Skip the pre-packaged box sets and create your own unique look mixing brands and fabrics. I like to choose one item with a pattern, like a scarf, and then select the two other items, pulling colors from that original pattern, to make my own set. See example above.